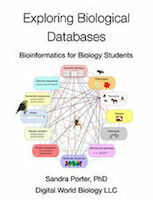 In this lesson, students explore more deeply the information they have learned throughout the unit about people in various careers that use bioinformatics. Students choose one career they would like to learn more about. They further explore that career by reading a series of in-depth questions asked of the person highlighted in that career, as well as provided internet resources. Students then respond to a job posting for a summer internship in their chosen field, developing a resume for that position. Optional activities include peer-editing of resumes and socializing in a professional environment.